Organise a family break this year in a pine lodge. Read the descriptions of the pine lodges below and choose a lovely holiday destination in England, perhaps near a lake for a spot of fishing, near nature reserves or woodland trails for birdwatching, interesting country walks and mountain biking. Do explore the pine lodges and log cabins shown, many of the sites offer a selection of pine lodges of various sizes and styles and not just 2 bedroom or 3 bedroom. We are sure that there will be something to match your desires and ensure a happy pine lodge holiday for your family. 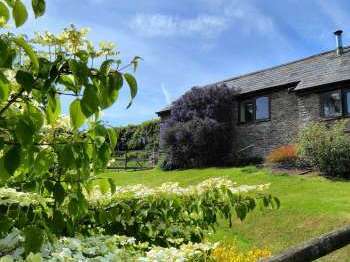 Late Break at Rhoslwyn - 7 night stay arriving Sunday 5th May now £290 - Includes WiFi, and home cinema room - Also up to 2 dogs welcome. Luxury short break in beautiful contemporary lodge with heart shaped private spa hot tub, sunny balcony, outdoor kitchen, heated bar area in great location close to busy village with plenty of bars & restaurants call 07725819384 now. Weekend break in quirky contemporary cabin with sunny balcony, BBQ & private outdoor hot tub under cover - the perfect base for exploring the Lakes in a peaceful location within easy walking distance of busy Lakeland village & lake Windermere call 07725819384 for amazing special offers 2 nights £195 extra night £55. Sunny Cottage in the Beautiful Pembrokeshire coastal Park. Gorgeous Coastal Mansion House ideal celebrations and large groups in the huge 33' kitchen dining room.